This comes about from being part of; listening to; observing and talking with other Aboriginal and Torres Strait Islander peoples on what it means to be Aboriginal in the 21st Century. I will be considering the elements and operations within this formula as characters of a story that express a belief about current (and not so current) matters in the education of Aboriginal peoples. Whilst these terms are commonly known, how they are understood in relation to our education is the main focus of this presentation. Therefore, I will be focusing more on our Intellectual Traditions – often referred to as ‘Aboriginal knowledge’ and their roles of past, present and future. Through the use of some personal, family and community stories I aim to highlight the differences for us as Aboriginal peoples of the 21st Century, between schooling and education is our traditions and especially our intellectual traditions. Dr Karen Martin is a Noonuccal woman from Minjerripah (North Stradbroke Island - south east Queensland) and also has Bidjara ancestry (central Queensland). She is a qualified early childhood educator who has taught for more than 20 years in Aboriginal Community education services from early childhood, compulsory schooling to adult training in remote, regional and urban areas of Queensland. She is a University Medallist; joint awardee of the AARE Dissertation Award (2007) and NAIDOC Scholar of the Year (2008). Dr Martin has lectured in Indigenous Australian Studies; Indigenous education and early childhood education and has some 25 years of experience in the development of policy, programs and curriculum regarding education; child care; teaching and learning. She has an interest in research in the areas of Aboriginal pedagogy; programs; childhood; Aboriginal knowledge; research and curriculum. 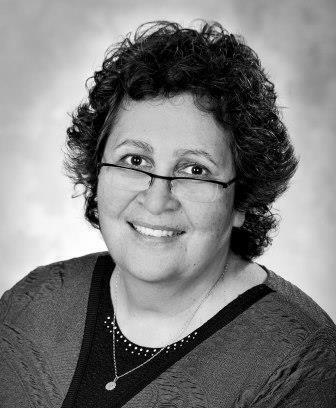 She is the Deputy Chair of the Longitudinal Study of Indigenous Children (FaHCSIA) and an academic advisor to the Indigenous Clearinghouse Board (AIHW). Karen’s work in higher education encompasses some fifteen years and she is currently Associate Professor in the School of Education and Professional Studies and member of the Indigenous Research Unit of Griffith University.